THE RECENT INDUSTRIAL ACT EMBARKED UPON BY ASUU: WHO IS TO BLAME, ASUU OR FG? 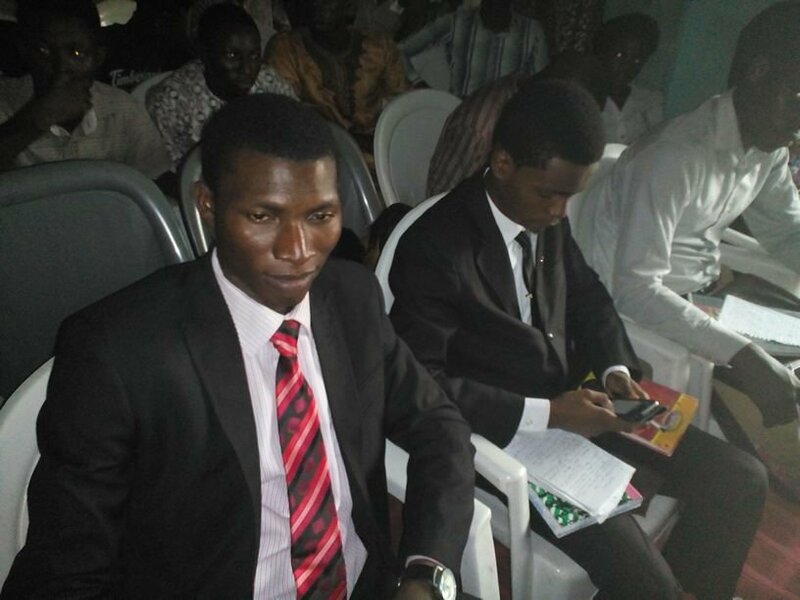 BEING A DEBATE PRESENTED AT THE 2ND PROFESSOR FRANCIS EGBOKHARE UCJ INTER-PRESS DEBATE. Truth is incontrovertible. Malice may attack it. Ignorance may deride it. But in the end, there it is – Sir Winston Churchill. Greetings, Ladies and Gentlemen, standing before you is Adebajo Adekunle and I am representing the Mellanby Hall Press Organisation. I remember it as if it were yesterday. On a Monday afternoon, while in ENG 112 class, the lecturer declared to our chagrin and dismay that the class will not be holding. Why? The Academic Staff Union Of Universities had suddenly decided to embark on a total, complete and indefinite strike action. About 1.5 million Nigerian Youths, university undergraduates, were forcefully exiled to their mothers’ homes between Monday, July 1st and Tuesday, December 17th. For 6 months, equivalent to 170 days [or if you like 244,800 minutes] we were very busy at home, doing absolutely nothing related to academics. Graduation years were unjustly delayed. We even witnessed the adjournment of wedding dates. Scholarships worth millions of naira became a waste. and most sadly of all, some, who while trying to make ends meet, passed away. So, I ask, who are we to blame? Seneca once said; ‘it is rash to condemn where you are ignorant.’ Meaning we cannot constructively evaluate what we do not critically appreciate. The recent ASUU strike had a genesis. In fact, It had a basis which we must all figure out before a move can be made for scrutiny and finger-pointing. Thus, I ask. What is this basis? On the 14th of December 2006, the then Minister of education, Dr Obiageli Ezekwesili, on behalf of the federal government, inaugurated the Federal Government/ASUU re-negotiation committee with the aim of looking into the union’s clamouring for a revitalisation of the academia. It held series of meetings between the years of 2007 and 2008; and in January 2009, came up with a 51-page Memorandum of Understanding, duly signed and considered binding on the parties. FEDERAL GOVERNMENT IS TO BLAME. It might be argued that: since the federal government was not present in the meetings in which the what, where, when and how of the industrial strike were discussed, then we should not hold them accountable for a decision they had no hand in making. However, as a student of logic, I know of the fallacious genre called ‘non causa pro causa’ (false cause), which holds that the immediate cause is not always the culpable cause, but the pristine, prototypical one. And as a student of law, I equally know that ‘metus in lege excusat’ (duress in law excuses). I may use my hands to murder another person, and yet go scot free, if I was under duress to do it or it was in self-defence. The same common-sense is applicable to the recent industrial strike, as I believe the union was under duress to embark on strike due to the lackadaisical attitude of their yearnings. How exactly the union was directly under duress by FG to go on strike leads to my second point. Nigeria is a country where, according to all ranking systems, none of our universities is among the world’s top 1000. Even our dear University of Ibadan which prides itself as the first and the best is number 24 in Africa and 2109 in the world. Nigeria is a country where ward councillors, who may be secondary school drop-outs, earn more than diligent professors. A country where you will never find the children of your local government chairman in the same school as you. Where 10 classes may hold simultaneously in the same lecture hall. Where kerosene stoves are used by science students in lieu of Bunsen burners. Where our education system is only getting better at getting worse … and someone still has the nerve to say that the Federal Government is not blameworthy of making protest inevitable? That ASUU ought not to have gone on strike? Think about it. Ghana, a country not as rich as Nigeria, for this fiscal year, budgeted 31% of its total revenue to the education sector, while the “Giant of Africa” struggles to budget a meagre and disconcerting 8%. Lastly but most importantly, Common sense and natural justice demand that FG executes the 2009 pact, and not wait for a strike. The Federal Government wilfully made a pact with ASUU in 2009, refreshed it 2012, and yet inconsiderately failed to execute it several years later. This is simply ludicrous, and blatantly contravenes common standards of professional ethics. Just as it is summed up in the Latin maxim, ‘pacta sunt servanda, quamvis absurdum.’ Meaning, agreements must be kept, contracts must be honoured, though they may be absurd. To conclude, I’d say, it is visible to the blind and audible to the deaf that the Federal Government is to blame for the regrettable and demoralising strike saga we witnessed last year. For in Marcus Tullius Cicero’s words, ‘salus populi suprema lex esto’, the welfare of the people is to be the supreme law. Hence, the federal government has the duty, primary responsibility, and in fact the capability to provide for the socio-academic necessities of the community. If they fail in this regard, someone has to speak up, as well-captured in the words of Edmund Burke: ‘All that is necessary for the triumph of evil is that good men do nothing.’ All ASUU has done is speak up. Are we going to crucify them for this? Ladies and Gentlemen, if we are truly seeking for someone to blame, then I say it is only rational that we blame the man who had no shoes, and his cohorts. First and foremost, ASUU’s demands are out rightly outrageous. Reading this memorandum, I came across some of the most ridiculous demands ever in the history of unionism. For instance, the unionists are clamouring for a plethora of unrealistic and undeserved allowances. Postgraduate–supervision allowance, teaching–practice/field–trip allowance, examiners’ honoraria, post–graduate–study grant, External–assessors’ allowance. Apart from these, they are also demanding for what they call fringe benefits. Vehicle–refurbishing loan, housing loan… research leave, sabbatical leave, annual leave, sick leave and maternity leave. I wonder if we will still have people to teach us if all these leaves are granted. How can a reasonable man down his tools, his main source of income, because of allowances. Allowance is allowance, not the main wage. The music maestro, Stephen Osita Osadebe, in one of his hits said, ‘if one’s salary is not enough to meet his needs, is it allowance that will do?’ It is unthinkable that the payment of paltry sums is allowed to disrupt academic activities for several months. Talk about making a mountain out of a molehill. Again, the ASUU/FG fracas should have been buried in previous strikes. One thing ASUU has failed to recognise is that incessant striking is not the solution to Nigeria’s educational drawback. In fact, it is one of the problems. Industrial acts are so frequent that non-Nigerians are forced to think it is an annual festival. And then, freshers are always sermonised that the years they are to spend in the university is ‘n + x’. ‘n’ being the years written in JAMB brochure while ‘x’ is the unknown, the added years as a result of strikes… Imagine, 5 months in 1999, 3 months in 2001, 6 months in 2003, 3 months in 2007, 4 months in 2009, 5 months, 1 week in 2010, 3 months in 2011, and the most recent 6 month strike, to mention a few. They all culminate into almost 3 years, yet what is there to show for it? Except, of course, more decay in the system. Moreover, I believe ASUU has no moral standing whatsoever to embark on a strike with so much audacity. Before they start point fingers at the FG and accusing them of dereliction of duty, have they looked within. Or have we not seen lecturers who come for classes only twice in a semester? Once to give out scheme of work, and the second time to invigilate the examination. Have we not seen lecturers who use lecture notes compiled in the 1970s for students in 2014? Last but not least, the union has no right whatsoever to disrupt the free flow of academic activities to the students’ detriment. Sir Oliver Wendell Holmes Jnr once said, ‘Your right to swing your arms ends where another man’s nose begins.’ And in Latin, ‘Tuus ius finibus ubi alterum incipit.’ You cannot take another man’s life because YOU are tired of living. Neither can you say because the constitution guarantees freedom of expression, you now slander another man with impunity. Thus, the Academic Staff Union Of Universities has no right to deprive students of their entitlement to be edified, no matter the circumstance. No matter what is done, the 200 billion naira Federal Government handed over for the restructuring of the academia and 45 billion given as lecturers’ earned allowance, can never restore or equate with the thousands of long hours wasted in inactivity. It cannot restore the delayed graduation years, and weddings. And most particularly, it can never bring back the invaluable, lost souls. I end with the sagacious words of Demosthenes, ‘res ipsa loquitur’; the facts speak for themselves… IF ONLY WE WILL LISTEN. Kunle Dear, this is ingenious. Keep It Up bro.